Generally, crude petroleum is heated and changed into a gas. The hot gases are passed into the bottom of a distillation column and become cooler as they move up the height of the column. As the gases cool below their boiling point, they condense into a liquid. The liquids are then drawn off the distilling column at specific heights, ranging from heavy resids at the bottom, raw diesel fuels in the mid-sections, and raw gasoline at the top. These raw fractions are then processed further to make several different finished products. Although all fractions of petroleum find uses, the greatest demand is for gasoline. One barrel of crude petroleum contains only 30-40% gasoline. Transportation demands require that over 50% of the crude oil be “converted” into gasoline. To meet this demand some petroleum fractions must be converted to gasoline. This may be done by cracking — breaking down large molecules of heavy heating oil and resids; reforming — changing molecular structures of low quality gasoline molecules; and isomerization — rearranging the atoms in a molecule so that the product has the same chemical formula but has a different structure, such as converting normal butane to isobutene. 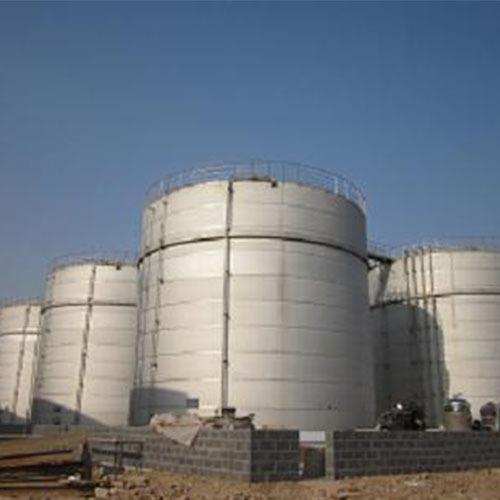 Generally, the simplest refineries consist of crude, vacuum, reforming and some hydrotreating capacity. The next level of complexity adds cat cracking and some additional hydrotreating. 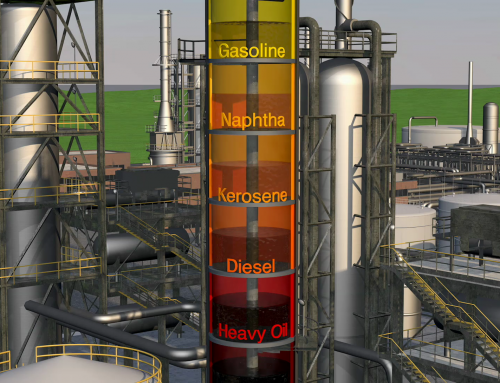 The most complex refineries add coking, more hydrotreating and hydrocracking. Refining separates crude oil into components used for a variety of purposes, from high-performance fuels to plastics. The refining process begins with crude oil. Crude oil is unrefined liquid petroleum, which ranges in color from yellow to black, and may have a paraffin, asphalt or mixed base. Crude oil is composed of thousands of different chemical compounds called hydrocarbons, all with different boiling points. 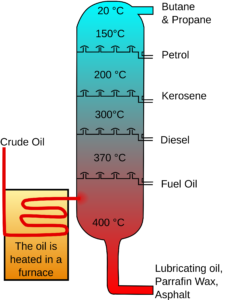 For example, a typical crude oil may begin to boil at 104° F to produce petroleum gas used for heating and making plastics, and finish boiling at greater than 1112° F to produce residuals such as petroleum coke, asphalt and tar. A heavy crude is less than 30°API, while a light crude is greater than 30°API. If crude contains a sizable amount of sulfur or sulfur compounds, it is called sour crude; if it has little to no sulfur, it is sweet crude. Sour crude may contain 1%–5% sulfur content, while sweet crudes will have less than 1% sulfur content. Coker Unit: processes vacuum resid, which is heated to over 900° F and put into the coke drums, where it undergoes thermal cracking as the oil decomposes under the extreme heat. 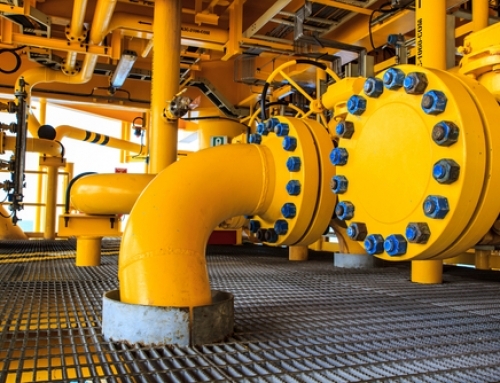 Products include butane and lighter material, naphtha for Reforming, turbine and diesel fuel, gas oil for Cat Cracking, and fuel grade petroleum coke. 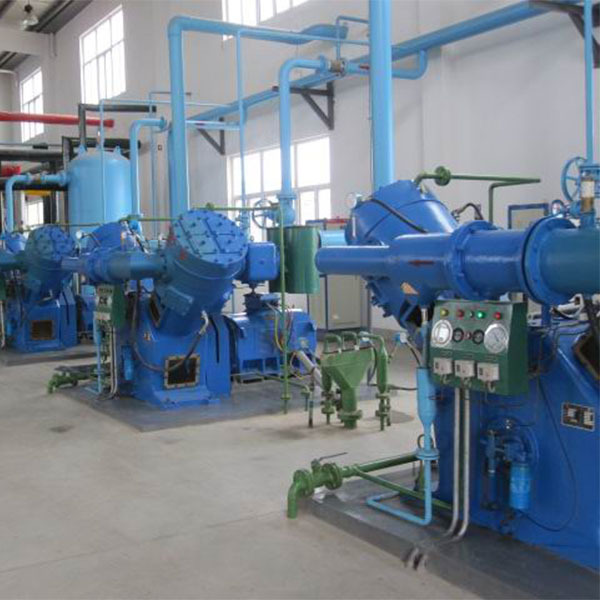 Reformer Unit: using heat, catalyst and moderate pressure, the reformer changes the molecular structure of crude and coker naphthas to produce a high octane primary gasoline blend stock called reformate. Alkylation Unit: uses acid catalyst to combine small molecules into larger ones collectively called alkylate, which has a high octane and is the cleanest burning of the gasoline blendstocks. Fluid Catalytic Cracking Unit: uses heat and catalyst to break or “crack” large gas oil molecules into a range of smaller ones, specifically gasoline, low quality diesel stocks, and a residual oil called slurry (fuel oil). Desulfurization Unit: a device used to remove sulfur from petroleum oil. Hydrotreating: removes impurities by using hydrogen to bind with sulfur and nitrogen. 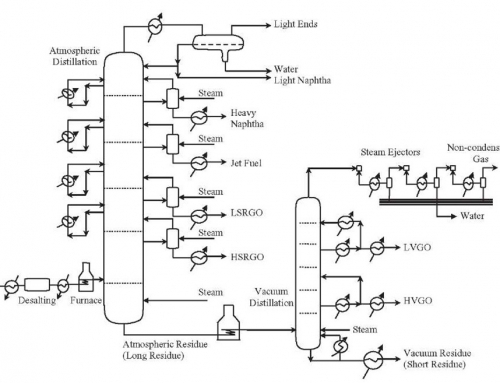 Hydrocracking: breaks or “cracks” diesel stock material into gasoline blending stocks using heat, catalyst and hydrogen under very high pressure. Isomerization: rearranges the atoms in a molecule so that the product has the same chemical formula but has a different structure, such as converting normal butane to isobutane.